We love the snow partly because we don’t get enough of it. Sometimes, we even do crazy things! 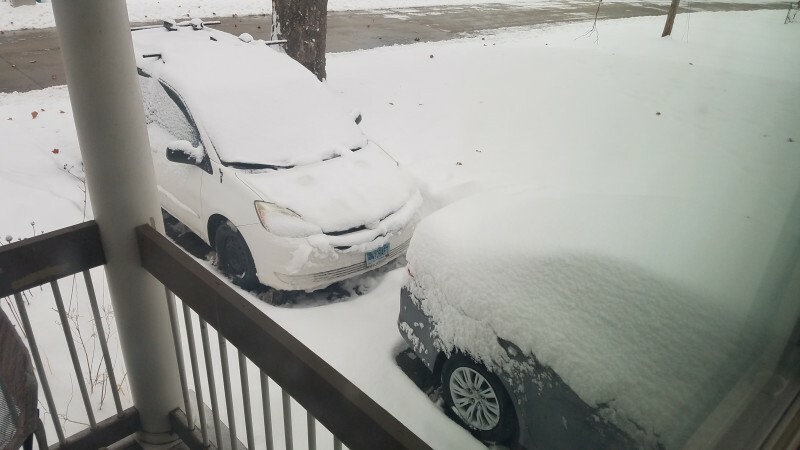 A look at how deep the snow is. 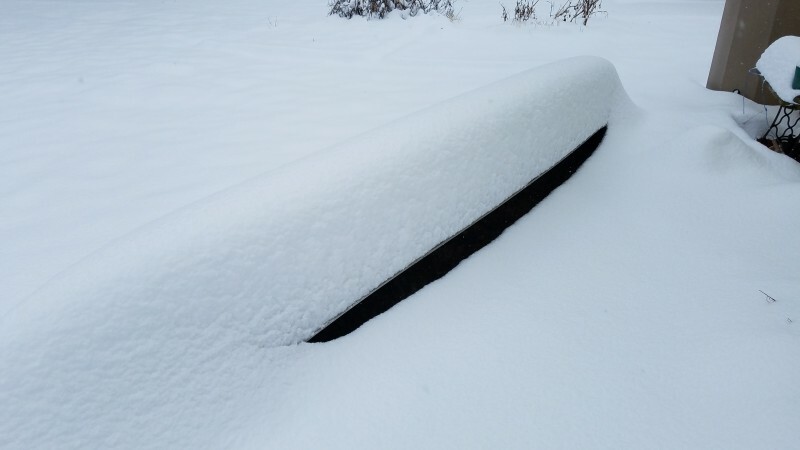 That is a canoe I forgot to put away before the snow. 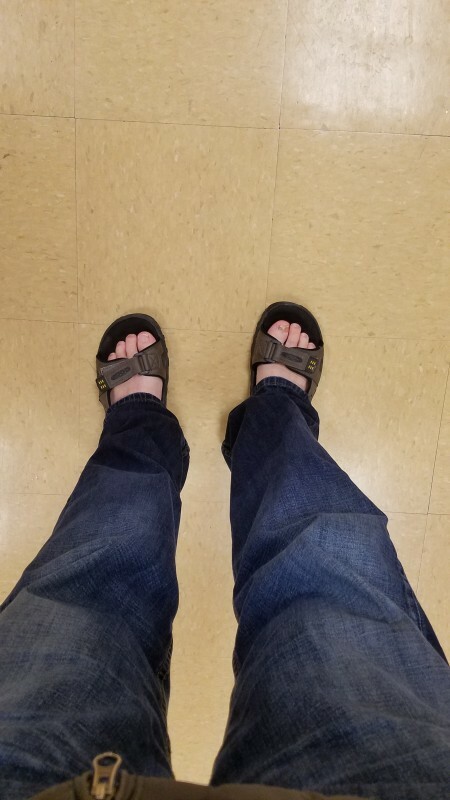 I was too lazy to put on socks or shoes, so I went shopping in sandals. There was wet snow everywhere so my feet were a bit cold, but not too bad. And a video of our poor cats. This entry was posted in Family, General and tagged Coatrack, Hogan, Sonora. Bookmark the permalink.